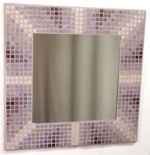 "Mosaic Mirrors" Accentuate your decor with this range of colourful mosaic mirrors, hand made in the UK, these mirrors will brighten up your walls or with optional stands many can be used to decorate your dressing table or other surfaces. 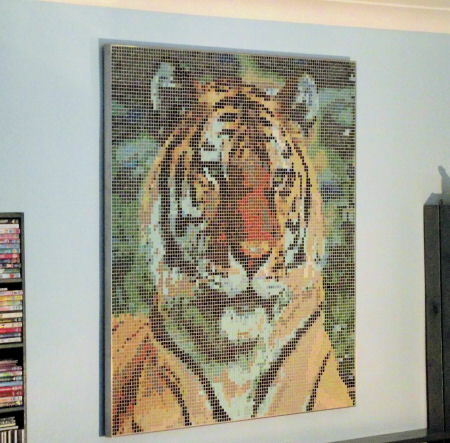 Create a custom Tile Mosaic Design online from your own picture! 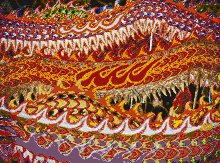 On our design site Kaamar.com, you can upload a picture to design your own mosaic online. This is our conventional shop for UK customers: Designs from this shop are also available at Kaamar.com for worldwide ordering and delivery, where you can resize them or change grout colour to your requirements.